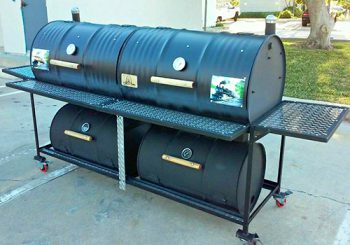 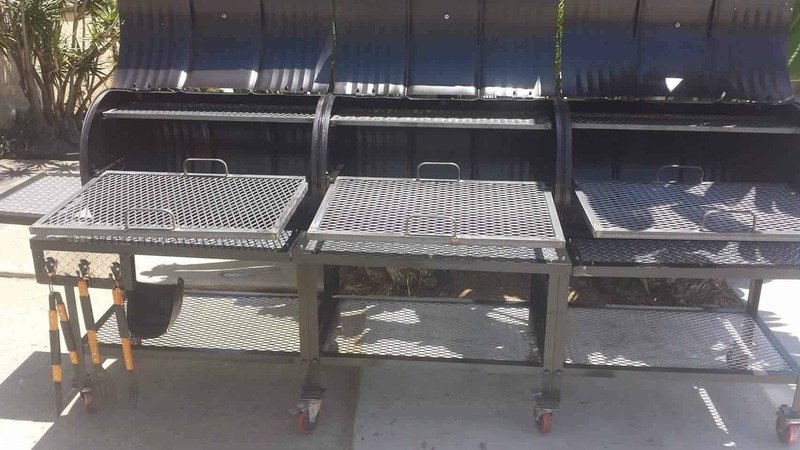 Triple Barrel Smoker Grill, the unit comes with (3) 55 gallon barrel grills this unit is painted with a high temp paint with (3) smoke ventilation stacks and caps. This unit also comes with (3) sliding cooking grate, (3) charcoal pan, (3) top warmer cooking grates (3) diamond plate table counter tops, (3 )bottom storage racks is added to this unit with, (8) caster locking wheels to include a thermometer set that will tell you smoking barbecuing and grilling temperatures and (3)wood handles per each side. 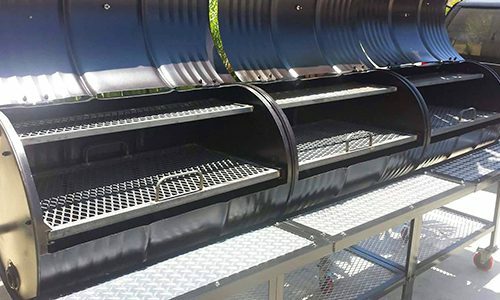 This unit comes with a heavy duty flat bar across the door to provide more stability and support.